Does singing bring different birds together or keep them apart? Birdsong in particular can be an unreliable way for birds to tell apart different subspecies for one key reason: in many songbirds, song isn’t just determined by genetics, it’s learned. There may be basic song parameters that are genetically determined, for instance by the morphology of song-producing organs. This still allows for plenty of variance in things like rates of song “syllables” or call amplitude and frequency, which are influenced by a bird’s cultural environment while growing up. In fact, even populations of the same species of bird can culturally develop noticeably different songs in different geographic area. If songs can differ based on what type of songs juvenile birds hear, when two subspecies live in the same area, does song keep these groups from breeding with each other? That’s what Dr. Toews looked at in a number of subspecies pairs that live in hybrid zones, or areas where two different groups come into contact and may mate with each other to produce hybrid offspring. 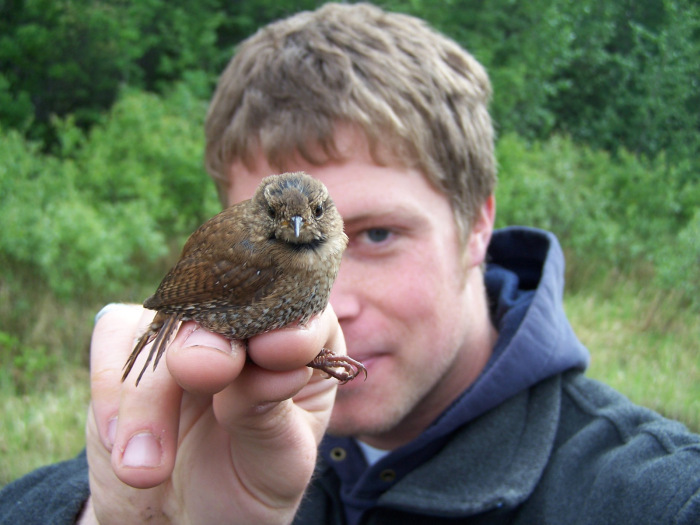 In winter wrens and pacific wrens, which were classified as subspecies at the time Toews was studying them, he found that song helped keep the groups apart. Toews included genetic work in his study and found that differences in song type aligned neatly with differences in the bird’s genotypes, suggesting that song was indeed a dividing line between these groups. Interestingly, winter and pacific wrens have since been separated into their own species based on differences between the two groups and the fact that they don’t often hybridize. Song differences between true subspecies can offer a different story. Toews also studied Macgillivray’s and mourning warbler subspecies where they come into contact in Northeastern British Columbia. Birds from the different groups sing different songs when they live in areas where they don’t come into contact. However, in areas where Macgillivray’s and mourning warblers live together they sing songs that are a mix of the two subspecies characteristic songs. Warblers would be unable to use song to tell what subspecies a potential mate comes from if everyone is singing a mashup version of each group’s standard song. As expected then, unlike in the wrens, genetic differences do not show a relationship with song differences in these warblers. The question of whether a culturally learned trait, like song, helps to keep subspecies from mating or conversely encourages hybrid mating is an open question. As Toews’ results suggest: it depends on the subspecies pair that you’re talking about and how divergent they are.